Economist, Tilewa Adebajo has criticised the decision of the Federal Government to withdraw from the signing of the new pan-African Continental Free Trade Area in Kigali, Rwanda. 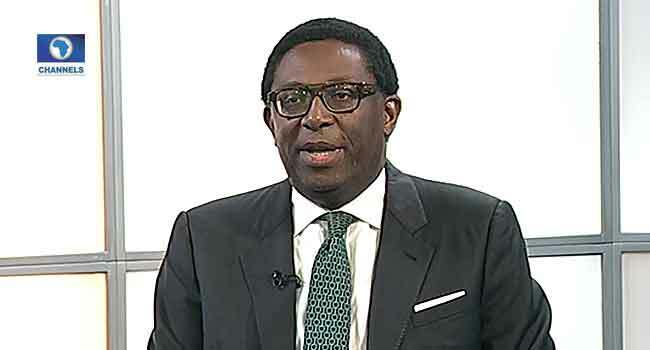 In an interview on Channels Television’s News at 10, Monday, Adebajo described the move as a “catastrophic mistake” especially with Nigeria’s reputation as Africa’s largest economy. “What is happening here for me is a very catastrophic mistake on our path in terms of the way we’ve handled this whole process. “We are the largest economy in Africa and we are the largest economy in Africa and when something like this is happening, we have to take the leadership role,” he said. Speaking Further, Adebajo noted that the move had cast a shadow on Nigeria’s reputation. He also stressed the importance of signing the agreement as well as the need to sustain its position as Africa’s leading nation. “As you’ve seen from your documentary, this was an agreement that went through the Federal Executive Council Process. “Now what does it say about the Federal Executive Council – is it that there is no organisation? It doesn’t even reflect the current administration in good light, not to talk about the international diplomacy that we’ve lost. “There are other Heads of States waiting for us in Kigali and these sort of negotiations take so many man hours. “I think it’s important that Nigeria shows leadership coz I think the numbers are staggering. Right now, intra- Africa trade is only 170 billion. His comments came few hours after the government disclosed that Nigeria had backed down from the process in order to allow for more time for broader consultations on the provisions of the treaty. The areas listed included sectoral and systemic issues, as well as the ”aggregated and granular effects” of the new free trade deal for Nigeria’s “fiscal, structural and monetary policies,” Osakwe said. He, however, added that Nigeria will not be absent in Kigali as the foreign affairs minister, Geoffrey Onyeama will be representing the country and supported by a Nigerian team.